These Wigwam F1221 109 Brown Diabetic Walker Crew Socks are performance socks done right. They're even approved by the Canadian Podiatric Medical Association. These brown Diabetic socks are made from a combination of 65% Coolmax polyester and 35% stretch nylo ... (see full details) (see specifications) #WGWF1221-109. These Wigwam F1221 109 Brown Diabetic Walker Crew Socks are performance socks done right. They're even approved by the Canadian Podiatric Medical Association. These brown Diabetic socks are made from a combination of 65% Coolmax polyester and 35% stretch nylon. They're designed to surround your feet in soft comfort and wick away moisture to keep them dry and cool. They employ a non-binding design, 1 x 1 true rib leg and ultra smooth Lin-Toe closure for a non-irritating fit and reliable support perfect for those with medical conditions. All brown and crew-length, they're great for everyday wear. Support comes easy in this pair. 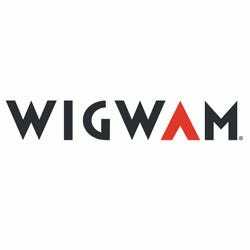 Click on the cart to order your Wigwam F1221 109 Brown Diabetic Walker Socks today. At this low price you may want to nab more than one. These sock definitely preform as advertised. I am a diabetic, and these socks definitely help with my circulation. While I often have trouble with my feet cramping, these socks really help prevent that. If you are concerned with poor foot circulation, you should definitely give these great socks a try. Wigwam Socks: Brown Diabetic Walker Crew Socks F1221 109 is being added to your cart.